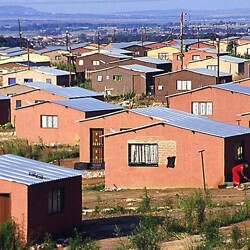 The KZN Department of Human Settlements (KZN DOHS) has released guidelines for the review of housing sector plans. The Department’s guidelines have adopted the PPT Informal Settlement Upgrading Toolkit categorization guidelines. The guidelines categorise informal settlements as either A (imminent formalization), B1 (interim basic services with eventual formalization when resouces and timing permit), B2 (emergency basic services – with eventual relocation when time and resouces permit) and C (imminent relocation where the site is not viable and appropriate for long term upgrading and there is an urgent need for relocation due to high threat to the health or safety of the setttlement’s residents).